Sara Lynn Cauchon (AKA The Domestic Geek) is one of the BEST home cooks on YouTube . This is a VERY easy meal prep (so perfect for beginners or those w/ little time to cook)! I esp. LOVE her idea of pre-cutting different raw veggies (for when you have a “snack attack.”) Her Instagram account is @thedomesticgeek1. NOTE: The menu below is 100% vegan. Oooh, the menu below will probably me ONE of my personal faves! Have you made hummus at home? If NOT, then this meal prep contains a recipe. This menu (which includes several of my fave ingredients) is inspired by the flavors of Mexico. You can skip Chipotle now! If you’re NOT a fan of cilantro, use mint instead. Queen Elizabeth II (Claire Foy) wearing her famous coronation jewels , sash, and gown. Claire Foy as Queen Elizabeth II and the real queen in wedding clothes. This highly-anticipated series will be available on November 4th. Two seasons with a total of 20 episodes are planned (so far), as noted in Variety. Daldry was the director of Billy Elliott and The Hours. In 2006, Peter Morgan wrote The Queen (starring Helen Mirren). I’m excited to see Foy in a starring role; she was great in the miniseries Little Dorritt. Matt Smith (best known for Dr. Who) can handle both comedy and drama. Maybe he will get a chance to do both? And it’s so cool to see the film/stage veteran, Lithgow, in good shape and working regularly! The official trailer (below) gives us some hint, BUT not too much, re: the crux of the series- how a young woman manages different roles (daughter, queen, wife, and mother). In the 2012 biography “Barack Obama: The Story” by Davis Maraniss, the author reports that Obama’s mother, Stanley Ann Dunham Obama Soetoro, was named “Stanley” not after her own father, Stanley Dunham, but after Bette Davis’ character in this film. Maraniss says that Obama’s maternal grandmother, Madelyn Dunham, saw the movie while pregnant with Obama’s mother, and she thought the name sounded sophisticated for a girl. Roy (Olivia de Havilland) speaks with Parry (Ernest Anderson)- a clerk at her family’s store. Warner Bros. was named to the Honor Roll of Race Relations of 1942 because of its dignified portrayal of African-Americans in this film. 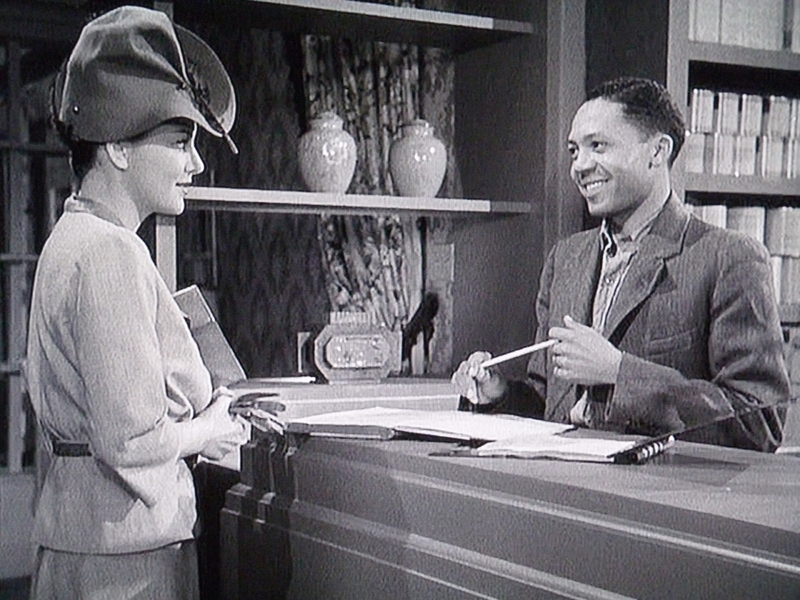 However, scenes in which Ernest Anderson’s character was treated in a friendly fashion were cut for showings in the strictly segregated American South to avoid offending those viewers. This (ahead of its time in MANY regards) film focuses on the Timberlakes, a prominent family based in Richmond, Virginia. The laid-back patriarch, Asa (Frank Craven), is not as clever or ambitious as his gregarious brother-in-law, William (Charles Coburn). Asa’s wife, Lavinia (Billie Burke), is in a fragile state, so she keeps to her room most of the time. However, we’re not told what exactly is the physical issue. William is head of the Fitzroy lumber business, while Asa is the manager and owner of some shares. Best Supporting Actress winner for Gone with the Wind, Hattie McDaniel, plays their long-time housekeeper- Minerva. 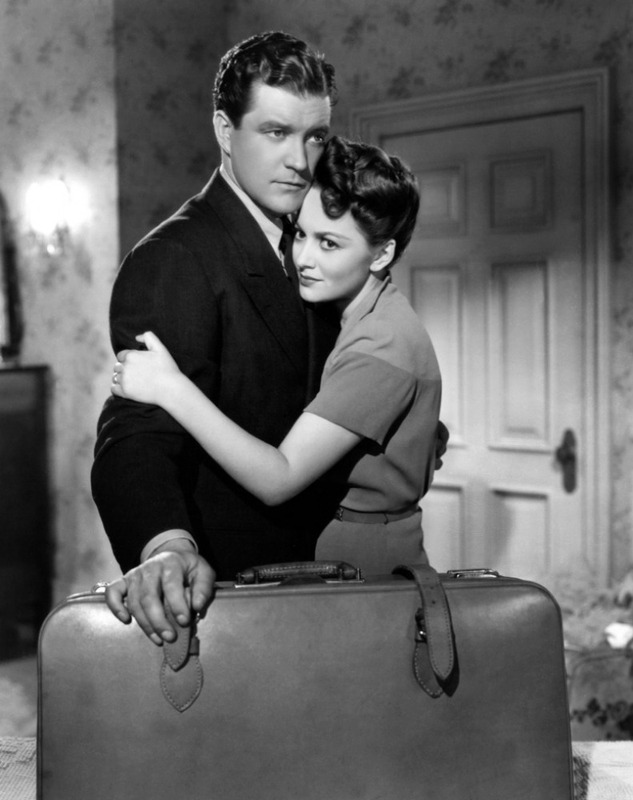 Peter (Dennis Morgan) and Roy (Olivia de Havilland) embrace before he leaves home… for good! 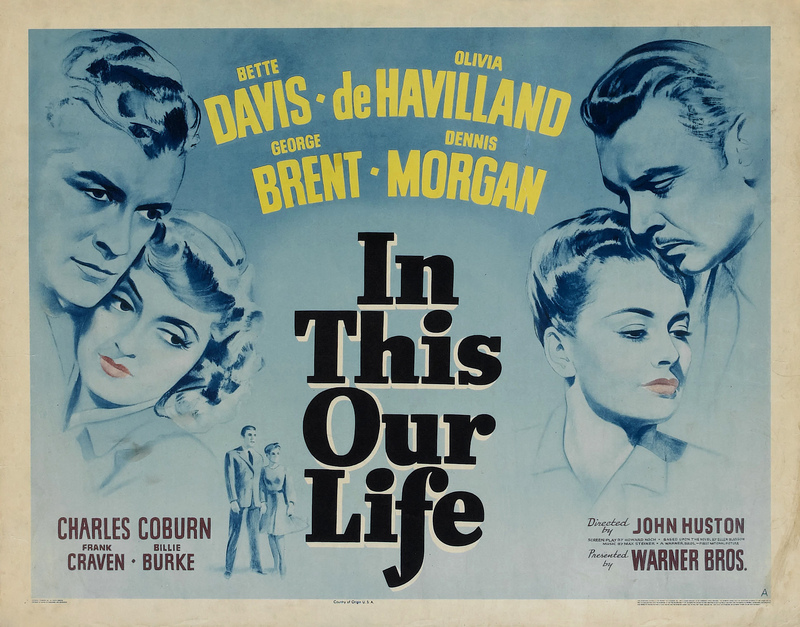 The Timberlake girls (Roy and Stanley) are front and center in this tale; Davis plays the younger sister though she was 8 years older than de Havilland. Asa complains that Stanley drives too fast. Minerva is sure that THIS time, Stanley will finally go through w/ her planned marriage, though Roy doesn’t look too hopeful. Uncle William doesn’t fully approve of her fiancé, who gives legal aid to the poor. Craig (George Brent) gets a polite little kiss goodbye from Stanley (Bette Davis). Without any warning, Stanley and Roy’s handsome surgeon husband, Peter (Dennis Morgan) run away together. Roy and Stanley’s lawyer fiance, Craig (George Brent) are left behind to deal w/ the shock and scandal. (Brent and Davis made MANY movies together over the years.) However, the honeymoon is VERY short for Stanley and Peter; we see that they are ill-suited to live together. Stanley considers herself to be beautiful, though the way Davis is dressed and made-up give off a different image. While live tweeting (@TCMParty) last week w/ some viewers, many noticed that Davis’ mouth was drawn differently than usual and a few of her dresses had loud patterns. But de Havilland looks lovely and is dressed in demure (yet graceful) styles. I’m sure this was done purposefully by director John Huston, who was having an affair with de Havilland during this time. Jack Warner (head of Warner Bros) said: “Anyone could see that . . . it was Valentine’s Day on the set . . . 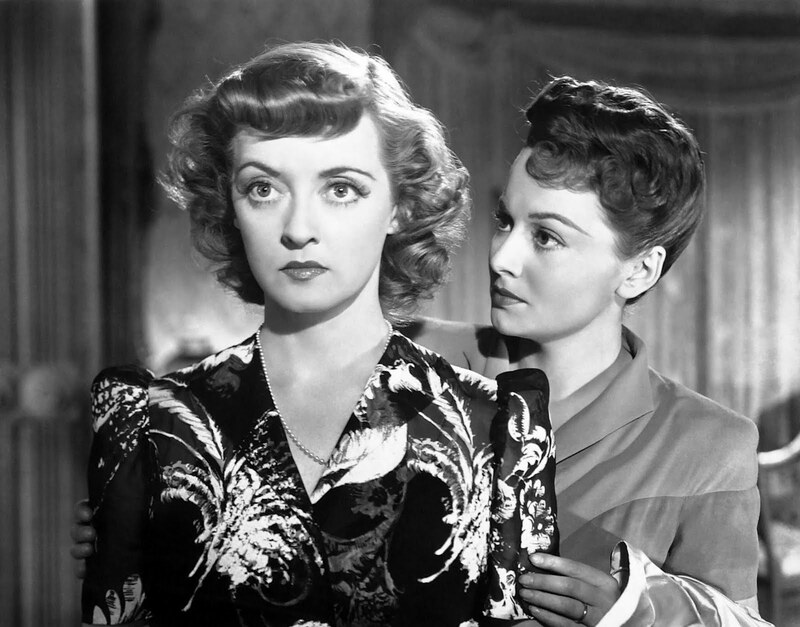 When I saw the rushes I said to myself, ‘Oh-oh, Bette has the lines, but Livvy is getting the best camera shots’.” Seriously, Davis DOES have the best lines! Salman Rushdie continues to be a controversial figure, but in today’s world, I feel that voices like his (British, Indian, and atheist) need to be heard MORE than ever! Depending on your age, you may know Rushdie from the fatwa (which was placed on him by Ayatollah Khomeini of Iran), his cameo on Bridget Jones’ Diary, or his short-lived marriage to Padma Lakhshmi (of Top Chef fame). Or maybe you have a FEW of his books (BUT are intimidated to read)? A few years ago, a book club I organized both read Haroun and the Sea of Stories, which is Rushdie’s YA book. *NOTE: Special thanks to my friend Lana for above photo and taking notes. He realized that he would never write a good book until he knew who he was (not English, but Indian). He was part of first generation of free Indian Children. His father told bedtime stories (oral tradition strong in his family)- animal stories; tales of heroes. His mother told local tales: gossip, scandal, secrets (when he included in stories, she said he “got in trouble”). One of his academic grandfathers took him to university library, where he discovered Agatha Christie. His other grandfather was a very religious man (prayed 5X/day, fasted, etc.) 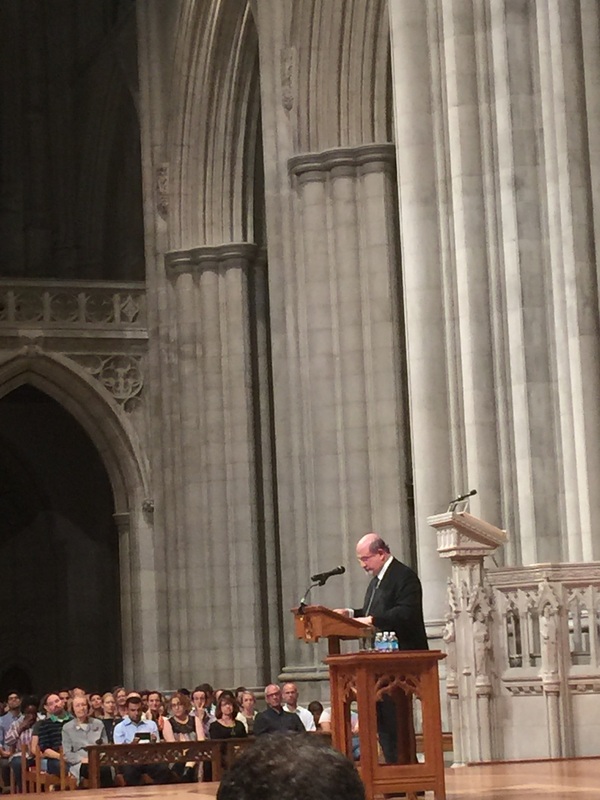 He was also open to any/all ideas; Rushdie admitted that he didn’t believe in God (age 10). Read comics from early age. He was lucky to have a lending library/bookstore nearby where he got into Perry Mason mysteries, Alice in Wonderland. The Wizard of Oz (film) inspired him to write his first story at age 10. His family had a tradition of kissing books and bread to apologize to it and place someplace where wouldn’t happen again (food for mind; food for the body). Left Bombay 1961 for English boarding school at age 13 (his idea, not his parents’). Maybe he had an”unnoticed love of adventure” b/c was quiet as a child? Got into Cambridge, but didn’t want to go b/ c of racism faced at boarding school earlier. He went and enjoyed it a lot; studied history; wrote for student newspaper. He also got into Borges and Joyce at this time, and learned about incident of satanic verses (in his last semester). His parents moved to Karachi, Pakistan; this was not an appealing place for him. His father initially disapproved, but then supported his return to England after he graduated from Cambridge. Wrote TV commercials and scripts in London for an ad agency (where he worked part-time). In the early 1970s, he wrote and published, but these works were not successful because he hadn’t known himself enough. He decided to understand what he was doing wrong and traveled to India, which entered state of emergency (1977). Midnight’s Children: Started in 3rd person, but then told from Salim’s voice and it was better (voice not my own, but gave me voice). Kept working in advertising again to pay bills. This book took 5 years to write it because was learning how to write. He also needed to blend news with fiction. Geography is key [to a person’s writing]. Writers (like Faulkner): Have roots/history and can mine the earth for a lifetime of stories. Work we do about the past, changes the future. As we discover, we remember, as we remember, we discover. Stories are not true- but can make you know truths that truths cannot tell. Can’t write until you hear people speak, because can’t tell their story if you don’t hear their voice. I think the greatest gift my family gave me was freethinking. [On his trip to India when writing Midnight’s Children]: From childhood, dig out memories from attics of mind. Healing of rift within myself that separated me from my past… drank deeply from well of India. Write what you know, but only if what you know is interesting. One of my favorite vloggers, The Domestic Geek, is sharing soup ideas through October 2016! She also has a new e-book w/ soup recipes; you can download and share w/ family & friends who are looking to get/stay fit (just look at those who eat it regularly). Below are dinner ideas (my friend is trying the shrimp one)!